My Pittsburgh visit lasted all of one-and-a-half days. It wasn’t long enough for me to really come to understand the city. I met a lot of nice and interesting people, but the city itself seemed to be in the middle of shaking off a long-time migraine. 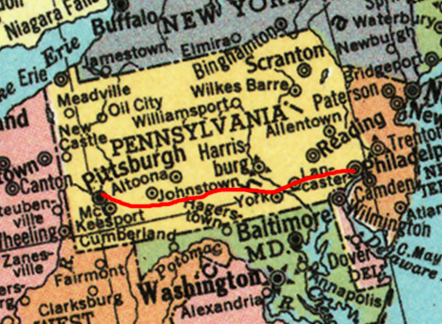 I think 2001 signaled the year when Pittsburgh was ready to move away from the idea that it would ever be Steel City again, and at the same time, the realization set in that all the chasms where coke and cobalt were removed would start to tighten into the Rust Belt. This past week I finished my final edits to my Route 66 book, Dispatches to America, to send out to publishers. 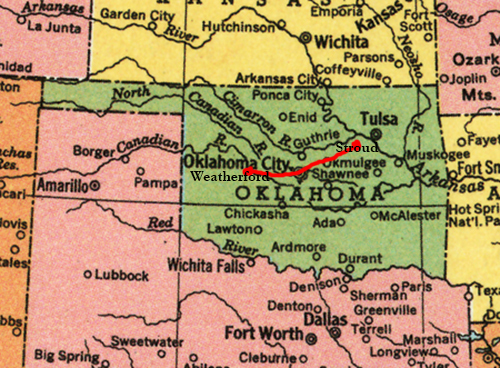 I made my last edit, literally, exactly, 13 years after I first left to see Route 66. Living in Pennsylvania means I have the opportunity to take other blue roads before my main journey, so I’ve been lucky enough to also experience U.S. Route 30 (The Lincoln Highway), U.S. Route 20 (The Oregon Trail), U.S. Route 6 (The Grand Army of the Republic Highway), and U.S. Route 101 (The Pacific Coast Highway). While many of these roads are seen merely as alternative routes, they are also roads that connect livelihoods and neighborhoods together. We take Interstates to get to where the hell we want to go—we take Routes to enjoy the ride, to meet people, to relax, to eat, to sleep, perchance to dream. For the next few weeks, I’m posting photos of my original trip from Philadelphia, Pennsylvania, to San Francisco, California, and then photos of follow-up trips, until I head back on the road on August 15th when I will be blogging again about how much these roads have changed—for better or for worse. On July 5th, 2001, the summer before 9/11, the United States was a different place. There were less obstructions to public places, less suspicion and paranoia, and more money given to the American people to help with their homes, businesses, and infrastructure. The day I left Philadelphia with my friend Kyle was incredibly muggy, and the heat and humidity followed us all the way to Pittsburgh. We mostly followed Route 30 (The Lincoln Highway) to go throughout the small towns and to maintain our back-road mentality. 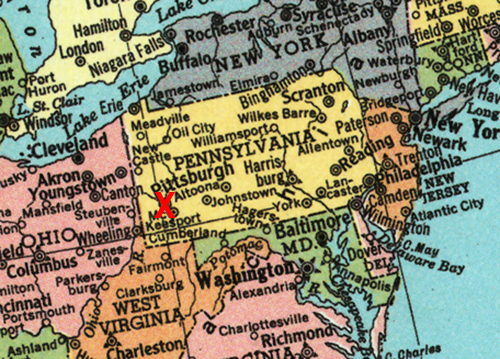 The only place we experienced any serious traffic on the road was Lancaster, Pennsylvania. John’s Modern Cabins is one of the most famous road relics on Route 66. The buildings have been allowed to decay for over 30 years, with most of the cabins on the verge of no longer being salvageable. 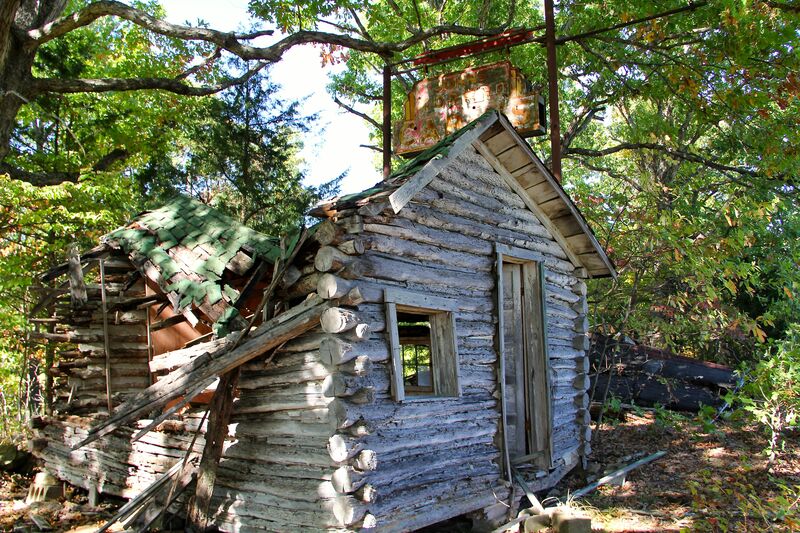 Some of the cabins, ironically the newer ones, are piles of rubble with energy inefficient refrigerators and random piles of rusting metal collapsed in junkyard forts. The “main” cabin that holds the neon sign with its brains blown out still stands with the red paint chipping off, the metal crumbling into detritus and remnants of glass tubes hanging off the face of the sign like old scars. The main cabin with the remains of the neon sign.